When your training partners improve, you do too. Everything from our training approach on the water, to debriefs, to logistical support rely on a community based system that keeps costs down, and gets everyone working towards squad success. All of our coaches are graduates of the same program that they are now teaching, and whether our alumni move on to college sailing, coaching sailing, or social sailing, the family they’ll build from being part of the skiff squad is an asset that will support them as they face their next challenges and life adventures. 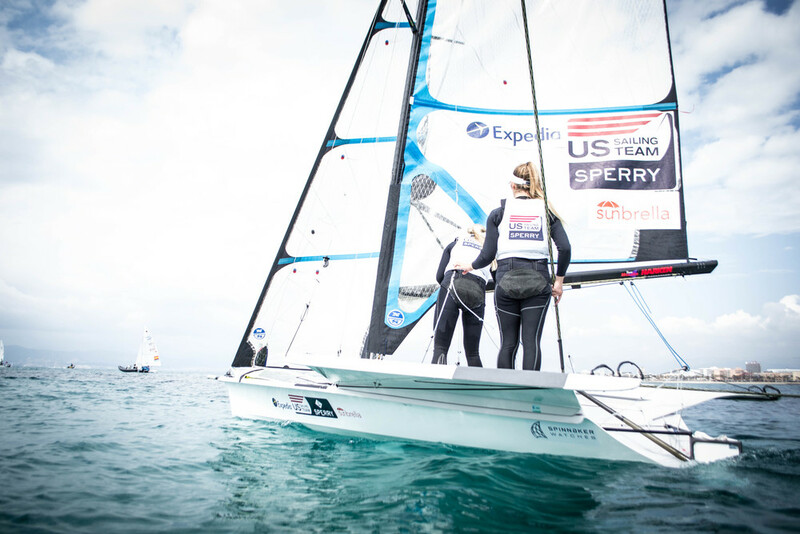 In addition to honing skills through local events throughout the year, we organize opportunities for our sailors to perform their best at a few major events each year. On the national stage, the "Big Four" are Midwinters West, Open Orange Bowl, the US Youth Champs, and the US 29er Nationals. Many of our teams have translated this into success at the ISAF Youth Worlds and the 29er Open Worlds, and we support them in every step. We believe that the pursuit of mastery on the water has far reaching implications for confidence and awareness in every aspect of life. The process of improvement that our sailors learn to apply to their sailing will help them navigate many other life challenges ranging from school to business to relationships. Our coaching philosophy is simple: teams who keep their learning curves steeper for longer perform better. All of our coaches are graduates of the same program that they are now teaching. Through this program they have developed a deep understanding for how to keep their learning curves steep, and now they are passing those lessons on. Different parts of the learning curve require different foundations and focuses to avoid plateaus and frustrations, and while there are lots of coaches with an eye for what makes a boat go fast, our coaches stand apart by taking their time developing each skill, digging into the details, and ensuring that the learning curve stays steep. As we develop our process for sharing our unique approach to learning skiff sailing, we will be supporting a growing number of regions in the US. If you are interested in bringing a clinic or clinic series to your region, or implementing the Skiff Squad curriculum in your local program, we would love to help you out! For all inquiries, please use the contact info listed at the bottom of this page.